A Broadway classic that has delighted audiences for generations comes to the big screen with a new, contemporary vision in Columbia Pictures' comedy, Annie. Director/Producer/Screenwriter Will Gluck teams with producers James Lassiter, Will Smith & Jada Pinkett Smith, and Shawn "JAY Z" Carter, Laurence "Jay" Brown, and Tyran "Ty Ty" Smith with a modern telling that captures the magic of the classic characters and original show that won seven Tony Awards. Celia Costas serves as Executive Producer. The screenplay is by Will Gluck and Aline Brosh McKenna, based on the musical stage play "Annie," book by Thomas Meehan, music by Charles Strouse, lyrics by Martin Charnin, and on "Little Orphan Annie," and Tribune Media Services, Inc.
Rose Byrne stars as Grace and Quvenzhane Wallis stars as Annie in Columbia Pictures' Annie (2014). Photo credit by Barry Wetcher. 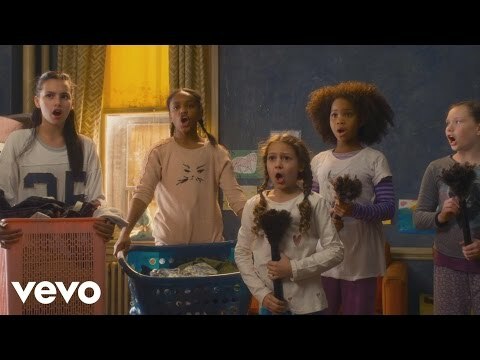 Cameron Diaz, Amanda Troya, Stephanie Kurtzuba, Nicolette Pierini, Jamie Foxx, Quvenzhane Wallis and Rose Byrne in Columbia Pictures' Annie (2014). Photo credit by Barry Wetcher. 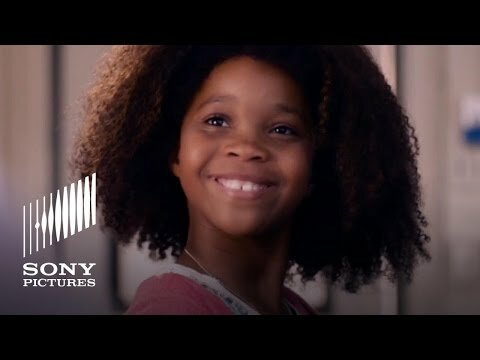 Quvenzhane Wallis stars as Annie in Columbia Pictures' Annie (2014). Photo credit by Barry Wetcher. Cameron Diaz stars as Miss Hannigan and Quvenzhane Wallis stars as Annie in Columbia Pictures' Annie (2014). Photo credit by Barry Wetcher. Jamie Foxx stars as Will Stacks and Quvenzhane Wallis stars as Annie in Columbia Pictures' Annie (2014). Photo credit by Barry Wetcher.